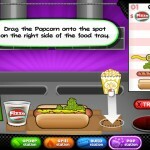 Management Cooking Upgrade Arcade Flipline Papas Click to find more games like this. 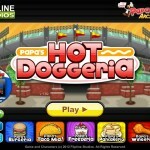 Flipline studios has brought papa back into another game titled papas hot doggeria! This time your at a baseball stadium and you tried getting in to watch the game but the line was too long and the stadium was packed, solution? 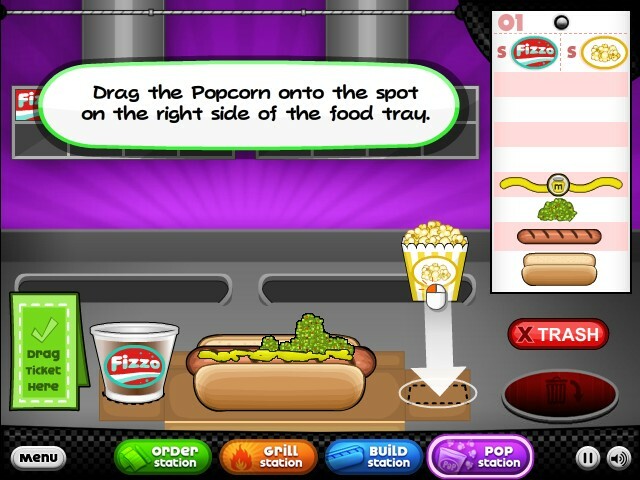 SELL HOT DOGS! 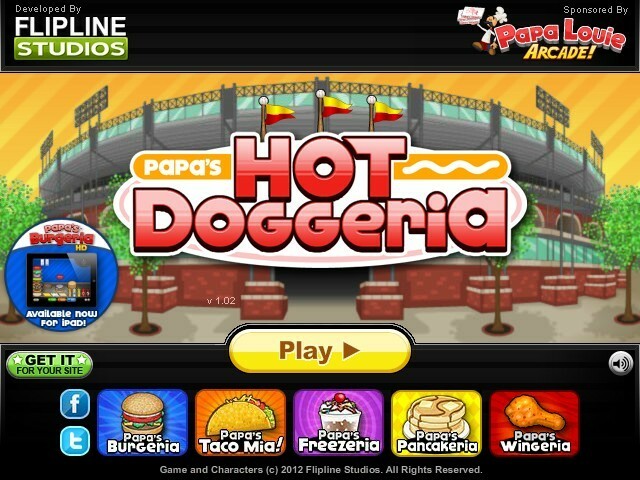 If you haven't played the papa games yet don't worry, the game's about you strategically placing your customer's order by frying your hotdog's sides to the right amount, adding popcorn or soda at the right size, having sauces, buns and much more to deal with! I know, im hungry as well, don't play this game if your starving! Please your customers and don't mess up! Make sure you've placed what they've ordered or they will get disappointed! Don't leave the customers hanging, take their order while you make a few at the same time!